You love your companion bird and want only the best fitting bird cage where they can spread their wings. The bird cage is your bird's home so you want the best cage fit for bird's health and security. 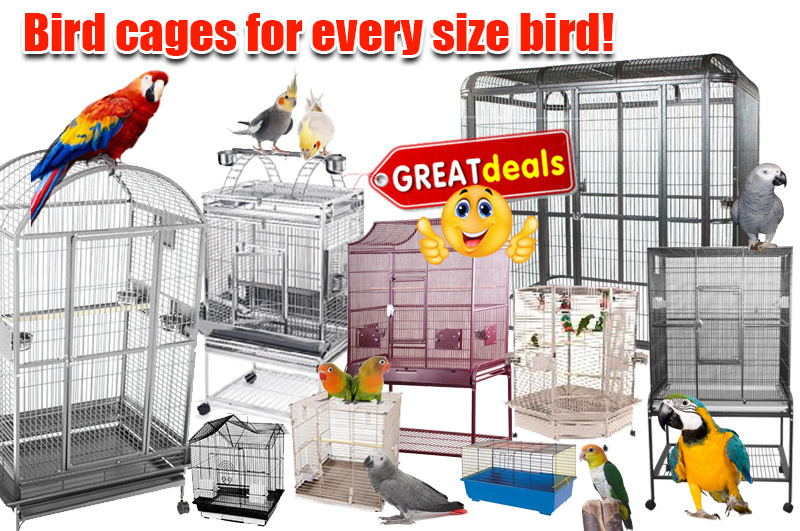 Our bird cages come in all sizes and new shape cages, from walk in aviaries and large cages to small cages so you are sure to get the right size new home for your avian family member. If you can't find the right size cage call us at 1-800-650-pets (7387) we will be happy to help select a cage. Remember that once you have a bird cage you need to fill it with bird stands, bird feeders and bird toys. We have natural Java Wood tree stands and perches as well as all the bird supplies you will need to keep your bird healthy and happy.